HB9RG, Hans-Rudolf "Rudi" Lauber, from Hirzel, Switzerland, passed away 26 December 2017. He was 92 years old. 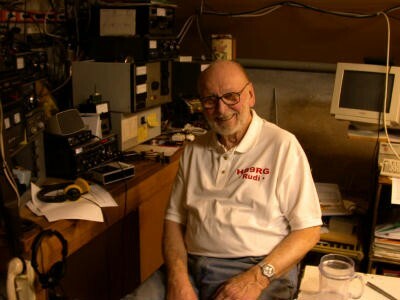 He was particularly active working the rest of Europe on VHF/UHF, says HB9PL. He was active in a group of EME enthusiasts in the second half of the 1950s, making the first Swiss moonbounce contacts. In later decades, he became an HF DXer, achieving 339/358 mixed DXCC totals.